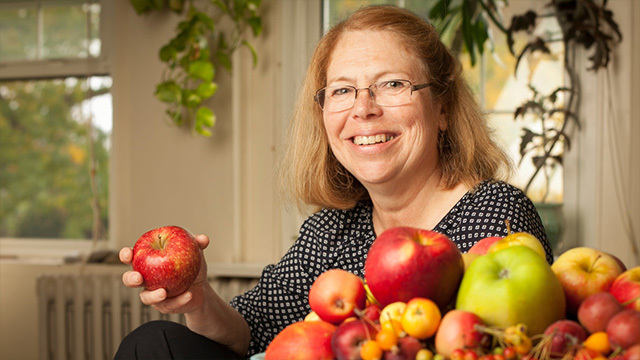 If you missed Monday’s Horticulture Section seminar Vegetable Crop Conservation in the U.S. National Plant Germplasm System with Joanne Labate, USDA-ARS Plant Genetic Resources Unit, it is available online. 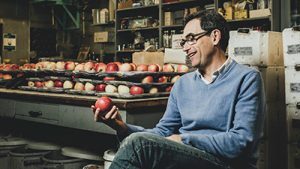 Apple breeder Susan Brown, professor in the Horticulture Section, explains all that’s involved in selecting and commercializing new apple varieties in an October 20 article Every Apple You Eat Took Years and Years to Make in Atlas Obscura. Are you ready for Halloween? We are. 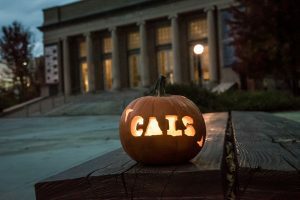 Show off your own jack-o’-lantern creation by using the hashtag #CornellCALS or by tagging us on Facebook, Instagram or Twitter. We will select our favorite for a $20 gift card to The Cornell Store. If you missed Monday’s Horticulture Section seminar Climate, Culture and Cuisine: Thomas Jefferson’s Experimental Garden with Patricia Brodowski, Thomas Jefferson Foundation, it is available online. The Horticulture Section of the School of Integrative Plant Science offers a wonderful opportunity once a year, the Frederick Dreer Award, that allows one or more students to spend 4 months to up to a year abroad pursuing his or her interests related to horticulture. See the application and instructions that spell out the procedure for applying. Basically it is quite simple. Submit a written proposal to the Dreer Committee by the deadline (March 5, 2018 in this cycle), which is followed by an informal interview, generally in a week or two. The faculty receives the recommendation of the Dreer Committee and votes on the nominee. The only obligation of the Dreer award winner is to write to the Dreer Committee monthly while overseas, and upon return to the United States, give a presentation about their time abroad to students and faculty. Please look into this opportunity seriously. It can be taken as a summer and a semester’s leave or a year’s leave of absence during school or upon graduation. If you would like to talk over a potential idea for the Dreer with a member of the Committee (and we encourage you to do so), please contact Nina Bassuk (Horticulture) Josh Cerra (Landscape Architecture) or Marvin Pritts (Horticulture). View more Dreer Award seminar videos. Growing crops in controlled environments – in greenhouses, plant factories and in vertical farms – provides alternatives to conventional farming by producing food year-round near metropolitan areas, reducing transportation costs and water use, and improving land-use efficiency. Such local systems also offer valuable educational and psychological benefits by connecting urban people to the food they consume. At the same time, there is little concrete evidence to show how so-called controlled-environment agriculture (CEA) compares to conventional field agriculture in terms of energy, carbon and water footprints, profitability, workforce development and scalability. Cornell will lead a project to answer these questions, thanks to a three-year, $2.4 million grant from the National Science Foundation, through its new funding initiative called Innovations at the Nexus of Food, Energy and Water Systems. 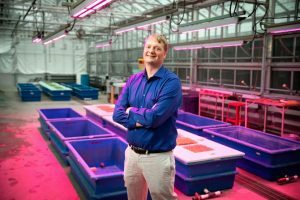 “By putting all these pieces together – including energy, water, workforce development and economic viability – we hope to discover if CEAs make sense for producing food for the masses,” said Neil Mattson, the grant’s principal investigator and associate professor in the Horticulture Section of the School of Integrative Plant Science. 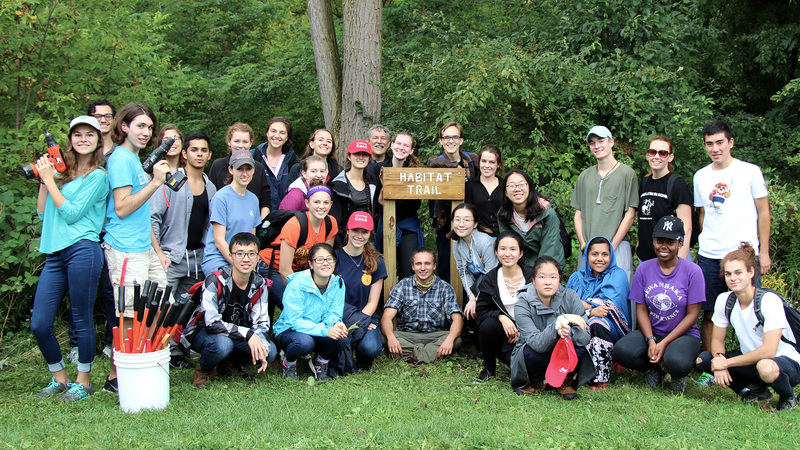 Students in Collaboration, Leadership, and Career Skills in the Plant Sciences (PLSCI 1110) engaged in a service-learning project making improvements to the Habitat Trail outside of Trumansburg. Every day across campus, students are developing the knowledge and technical expertise they need to succeed in their chosen fields. But a new minor available this fall will focus on the skills they need to attract employers across all disciplines. The leadership minor in the College of Agriculture and Life Sciences addresses key skills aimed at helping students excel professionally and in their personal life by enhancing their abilities to understand their own strengths, collaborate with others and build a team, and act as positive role models. Marvin Pritts, professor of horticulture and director of the new minor program, said the idea for the minor grew out of a desire to formally provide integration and academic credit for the many leadership opportunities that exist at Cornell, inside and outside of the classroom. The minor provides opportunities for direct, hands-on experience, said Pritts. Through a capstone course, students can practice leadership skills in real time, working in their field alongside a faculty member who provides feedback. Students can earn credit for leadership roles in extracurricular activities, such as serving as captain of a sports team. If you missed Monday’s Horticulture Section seminar Student Trips to South Asia: A Lab for Studying Agriculture Development with Terry Tucker, Marvin Pritts, and Marcus Ruberg ’18, it is available online. 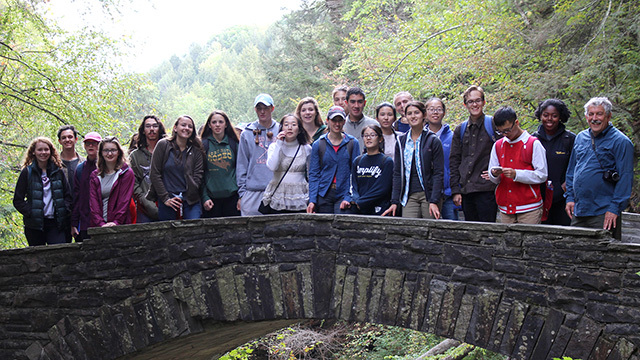 More than 20 new Plant Sciences majors hiked gorge trails and explored local natural areas including — Buttermilk Falls and Robert H. Treman State Parks Saturday led by Director of Undergraduate Studies, Marvin Pritts Undergraduate Program Coordinator Leah Cynara Cook, finishing up the day with a cookout at Pritts’s. New Plant Sciences majors at Treman State Park.